The Aviatrix VPN solution is the only VPN solution that provides SAML authentication from the client itself. The solution is built on OpenVPN®. 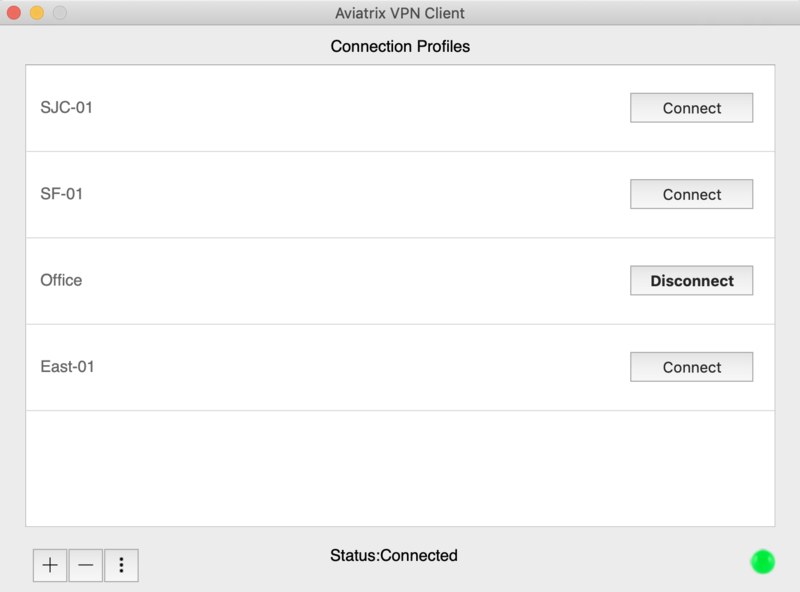 The Aviatrix VPN Client provides a seamless user experience when authenticating a VPN user through a SAML IDP. The client also supports password based authentication methods as well. The VPN Client can be installed on desktop platforms and is supported on various OS like Windows, Mac and Linux. Consult the VPN client user guide for how to use it. Latest version: 1.9.14 - (Oct 18 2018) Changelog. At the end of the installation, please install the TUN TAP driver if you haven’t done so earlier. Mac client can be downloaded from this link. Please make sure that you are running macOS 10.12(Sierra) or higher. Ubuntu 16/Generic - Debian file, Tar file. These are preview images for the next release.